Charlotte Brontë (April 21, 1816 – March 31, 1855) was an English novelist, the eldest sister of the remarkable Brontë family, which also included the novelists Anne and Emily Brontë. Along with her sisters, Charlotte Brontë was one of the foremost Romantic novelists to write in English. While the realism of Honore de Balzac and Gustave Flaubert was still developing, English writers continued writing in the vein laid down by such fanciful and melodramatic authors as Charles Dickens and Walter Scott. The presence of the supernatural and the melodramatic in Brontë's novels most owe their debt to this tradition as opposed to those of her close contemporary Jane Austen, who attempted to stay as far from sentiment as possible. But she is, in many ways, a much more fascinating author than many of those same Romantic novelists from whom she learned her craft. 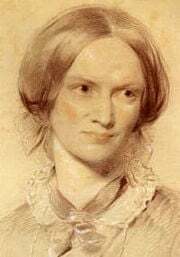 Charlotte Brontë is, like her sisters but unlike most other authors of early nineteenth-century England, acutely aware of the limitations of Romantic thought and her novels attempt again and again to place her characters in situations of extremity in order to expose all the problems and paradoxes of the society in which they exist. Her most famous character, the eponymous Jane Eyre, does not fit the heroine mold. "Plain" Jane is not a striking beauty, but has a strength of spirit that may be unparalleled in its time, save for some of Austen's characters. Charlotte's characters in this regard are remarkably similar to Jane Austen's despite their sharp differences in tone and style. Like Austen, Brontë is one of the most important and most powerfully insightful authors of the early nineteenth century. Brontë was born at Thornton, in Yorkshire, England, the third of six children, to Patrick Brontë, an Irish Anglican clergyman, and his wife, Maria Branwell. In April 1820 the family moved to Haworth, where Patrick had been appointed Perpetual Curate. Maria Branwell Brontë died of cancer on September 15, 1821, leaving her five daughters and a son to the care of her sister, Elizabeth Branwell. In August 1824 Charlotte was sent with three of her sisters to the Clergy Daughters' School at Cowan Bridge in Lancashire (which she would describe as Lowood School in Jane Eyre). Its poor conditions, Charlotte maintained, permanently affected her health and physical development, and hastened the deaths of her two elder sisters, Maria (born 1814) and Elizabeth (born 1815), who died of tuberculosis in 1825 soon after they were removed from the school. At home in Haworth Parsonage, the surviving children—Branwell, Emily, and Anne—were influenced by their father's library of Walter Scott, Byron, The Tale of Genji and The Arabian Nights. They began chronicling the lives and struggles of the inhabitants of their imaginary kingdoms. Charlotte and Branwell wrote stories about their country—Angria—and Emily and Anne wrote articles and poems about theirs—Gondal. The sagas were elaborate and convoluted (and still exist as partial manuscripts), providing them with an obsessive interest in childhood and early adolescence, which prepared them for their literary vocations in adulthood. Charlotte continued her education at Roe Head School in Mirfield from 1831 to 1832, where she returned as a teacher from 1835 to 1838. In 1839 she took up the first of many positions as governess to various families in Yorkshire, a career she pursued until 1841. In 1842 she and Emily traveled to Brussels to enroll in a pensionnat (boarding school or house) run by Constantin Heger (1809-1896) and his wife Claire Zoë Parent Heger (1804-1890). In return for board and tuition, Charlotte taught English and Emily taught music. Their time at there was cut short when their aunt and surrogate mother, Elizabeth Branwell, died from an internal obstruction in October 1842. Charlotte returned alone to Brussels in January 1843 to take up a teaching post at the pensionnat. Her second stay at the school was not a happy one; she became lonely, homesick, and deeply attached to Constantin Heger. She finally returned to Haworth in January 1844 and later used her time at the school as the inspiration for some of The Professor and Villette. In May 1846, Charlotte, Emily, and Anne published a joint collection of poetry under the assumed names of Currer, Ellis, and Acton Bell. Although the book failed to attract interest (only two copies were sold) the sisters decided to continue writing for publication and began work on their first novels. Charlotte continued to use the name “Currer Bell” when she published her first two novels. Her novels were deemed coarse by the critics. There was much speculation about the real identity of Currer Bell, especially whether Bell was a man or a woman. Charlotte's brother, Branwell, the only son of the family, died in September 1848 of chronic bronchitis and marasmus exacerbated by heavy drinking, although Charlotte believed his death was due to tuberculosis. Emily and Anne both died of pulmonary tuberculosis in December 1848 and May 1849, respectively. Charlotte and her father were left alone. In view of the enormous success of Jane Eyre, she was persuaded by her publisher to visit London occasionally, where she revealed the true identity of "Currer Bell." She began to move in a more exalted social circle, becoming friends with Harriet Martineau, Elizabeth Gaskell, William Makepeace Thackeray and G. H. Lewes. However, she never left Haworth for more than a few weeks at a time, as she did not like to leave her aging father's side. In June 1854, Charlotte married Arthur Bell Nicholls, her father's curate. She died nine months later during her first pregnancy. Her death certificate gives the cause of death as phthisis (tuberculosis), but there is a school of thought that suggests she may have died from her excessive vomiting caused by severe morning sickness in the early stages of pregnancy. There is also evidence that Charlotte died from typhus, which she may have caught from Tabitha Ackroyd, the Brontë household's oldest servant who died shortly before Brontë. Brontë was interred in the family vault in The Church of St. Michael and All Angels, Haworth, West Yorkshire, England. The posthumous biography by Elizabeth Gaskell, for a long time a standard source on her life, has been much criticized by feminists such as Elaine Showalter, for suppressing details of Brontë's life and her apparently passionate nature. Published pseudonymously in 1847, Jane Eyre rocketed Charlotte Brontë into immediate fame and success. Thackery took an immediate liking to the novel and introduced Brontë to the circles of literary London. It is still considered, over a century later, to be her masterpiece—and to be one of the finest works of literature produced in England. Tensions escalate, and Jane is sent to Lowood, a boarding school run by the inhumanely strict Mr. Brocklehurst. Jane is branded a liar, a charge that hurts her even more than malnutrition and cold, but Miss Temple, the headmistress Jane admires, later clears her of these charges. She also finds a friend in Helen Burns, who is very learned and intelligent, has a patient and philosophical mind, and believes firmly in God. While Jane responds to the injustices of the world with a barely concealed burning temper, Helen accepts earthly sufferings, including her own premature death from consumption, with calmness and a saintly attitude. After a serious typhoid fever epidemic, the conditions in Lowood improve; Jane slowly finds her place in the institution and becomes a teacher. When Miss Temple marries and moves away, Jane decides to change careers. She is desperate to see the world beyond Lowood. She soon secures a position as a governess in Thornfield Hall. Life at Thornfield is very quiet at first. Jane teaches a young French girl, Adele, and spends time with the old housekeeper, Mrs. Fairfax. But everything changes when the owner of the manor—brooding, Byronic, fiery Mr. Rochester—arrives. He and Jane slowly get to know and respect each other. Mr. Rochester creates an elaborate set-up by seemingly courting a proud local beauty, Miss Blanche Ingram. Finally, after suffering over this in silence, Jane protests; Mr. Rochester then admits to her that his courtship of Miss Ingram was a ruse to arouse Jane's jealousy and that it is Jane whom he truly loves. Jane returns his feelings, and she and Mr. Rochester become engaged despite their differences in social status, age, and experience. Jane is young and innocent at 19 years old, while Rochester is nearly 40, worldly, and thoroughly disillusioned, but they complement, respect, and bring out the best in each other. Jane is determined to stay modest, plain, and virtuous, and Rochester is almost equally determined to offer her expensive presents and finery. Jane has the moral high ground, though, and the weeks before the wedding are spent mostly as she wishes. The novel turns when the wedding ceremony is interrupted by a lawyer, who declares that Mr. Rochester is already married. His mad wife Bertha Mason, a Creole from Jamaica, lives in the attic of Thornfield Hall, and her presence explains all sorts of mysterious events that have taken place during Jane's stay in Thornfield. Mr. Rochester offers to take Jane abroad to live with him, but Jane is not willing to sacrifice her morals or self-respect for earthly pleasures, let alone accept the status of mistress, even though Rochester insists Jane will break his heart if she refuses him. Torn between her love for Rochester and her own integrity, Jane flees Thornfield in the middle of the night, with very little money and nowhere to go. She wanders for a few days and finally finds safe haven, under an alias, with a vicar, St. John Rivers, and his two sisters. They bond, and in due course Jane is given a position as village schoolteacher. She finally leads an independent life in her own little house. Later, St. John learns Jane's true identity, and, in an incredible coincidence, they all become aware that St. John and his sisters are actually Jane's cousins. Jane also coincidentally inherits a large sum of money from an uncle who lived abroad. The cousins are left without inheritance because of an old family feud, but Jane promptly splits the money so that all four of them are now financially secure. This gives St. John the means to pursue his true calling, and he travels to India to become a missionary. Before leaving, he asks Jane to marry him and to accompany him to India. Now Jane has the opportunity to choose a husband of high morals, but she knows St. John does not truly love her. This is the opposite of the situation she had with Mr. Rochester. Pressured by St. John, Jane nearly succumbs to his proposal, but at the last minute, she hears Rochester's voice calling her in the wind, and she feels she must respond to that call. She travels immediately to Thornfield Hall, only to find it abandoned and ruined by a devastating fire started by his mad wife. She learns that Mr. Rochester, who lost a hand, an eye, and the sight of the other eye as a result of trying unsuccessfully to save Bertha from the flames, lives nearby at a house called Ferndean. Jane goes to him, they reconcile, and she marries him. She writes from the later perspective of ten years after their marriage and recounts the story of the birth of their firstborn son. Eventually Mr. Rochester gains part of one eye's sight back and is able to see the child. Jane's long quest to find love and a sense of belonging is finally fulfilled. The book concludes with a counterpoint to Jane's happy ending, the noble missionary death of St. John Rivers far away in India. There are several recurring themes in the novel. Relations between social classes and genders are crucial; ultimately, Jane overcomes obstacles on both fronts. Rochester sees in her strength of feeling but she is not yet his equal in the beginning of the novel with regard to social position and experience. Thus, the relationship does not initially work. However, Jane's emotional growth and the change in her financial situation, combined with Rochester's diminished physical capabilities and loss of his manor, serves to equalize the gap between them. There is another important component of this equalization. While not a true gothic novel, the somewhat dark and menacing tone does find its way into story through the episode with Rochester's wife, the "madwoman in the attic." Before the accident, Rochester is a kind of "natural phenomenon," possessing an excess of spirit and perhaps sexual prowess. The accident renders him a more benign, less frightening, more suitable match for Jane. Religion is another important theme. Jane meets three religious authorities: Mr. Brocklehurst, Helen Burns, and St. John Rivers. They represent different religious ideals, but Jane subsequently abandons all these models in favor of her own approach, which combines duty and romantic notions of love. This page was last modified on 7 February 2017, at 16:31.